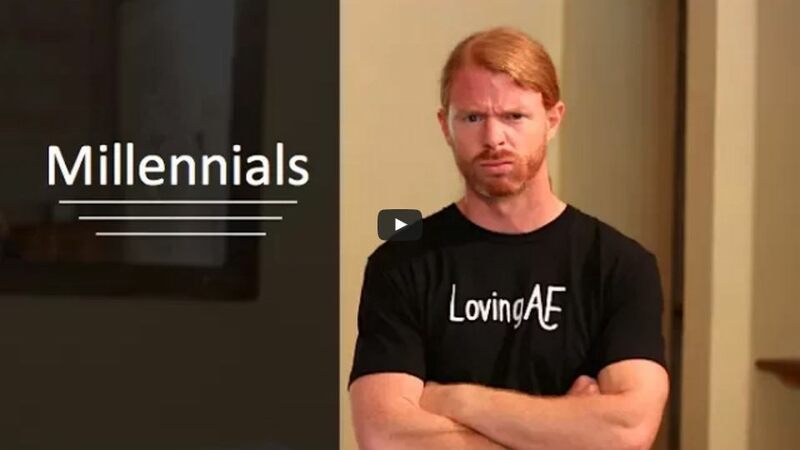 The Video of the Day – “Millennials”, is entertaining and even funny. But watching this short video is also disturbingly revealing. Something is seriously wrong with a couple of generations of young Americans with much focus on the Millennial Generation; those born from 1984 forward who are now “young adults” leaving a university and seeking their first meaningful employment. You may have seen the clip on Youtube posted by a blond millennial who was fired for showing up on her first work day around 10:30am having chosen to sleep late, and slowly greeting her day after a night of partying and celebrating. She was celebrating her first job the night before which celebrating lasted until early morning; why not, she earned it! Wandering into work around 10:30 rather than 8:00am, and then claiming to her boss that this is a very stressful time in her life leaving college, getting a job with all sorts of demands, and now having to account for herself is wrong and actually threatening and intrusive! She further accuses her boss of being a “white male sexist pig who is not safe.” This millennial concludes her selfie recorded rampage by stating to her boss that she will NOT return to her work station until he apologizes and changes his ways; that she is feeling threatened, needs space and time alone to sort through this traumatic experience. This millennial proceeds to spew anger on her selfie that her “white male sexist pig boss” actually had her escorted out of the office with his final words being that she is fired! When you finish with this video of the day – “Millennials” please click on the next video named: “The Millennial Question” with Tom Bilyeu. Tom Bilyeu presents an 11 minute interview on issues and challenges with millennials. It is not a pretty picture, but he does so lovingly and patiently with a little humor. I urge you to consider this request and watch both of these disturbing but insightful presentations. There is absolutely no question two generations of Americans have been severely dumbed-down by our failing educational system as well as by technology and lack of parental involvement. There is no question that severe behavioral deficits exist with those in the 15-36 age range; possibly even a couple of years prior to 15 and a couple of years post 36. See and decide for yourself, watch these two video presentations then ask if my observations are too harsh? I am more concerned with what we as a nation do now addressing these severely misdirected generations?